©2013 Denise Swanson Stybr (P)2014 Audible Inc.
"Guns 'n Poses" is the health club. This novel was so light, I felt a few brain cells float away. Also, product placements was far too conspicuous. 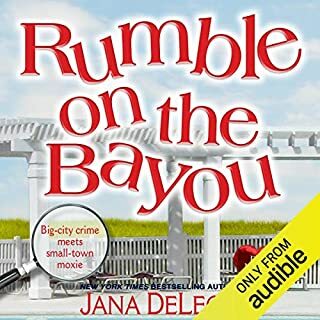 This has been my first and last Scumble River mystery.I hope the narrator has the opportunity to use her fabulous talents on some more worthwhile projects. Why so many 5 stars? I really expected to love this; as so many others did. I assume the characters would have been more layered if I had read the books from the beginning (Book 1). They just didn't seem to have any depth. While the plot was well done and interesting, it was hard to find the good parts beneath the uninteresting dialog. I mean do we really care how many bites it takes to finish eating a cookie? I was so pleased when it was over so I could start listening to something more engaging. You would enjoy this book if you really, really, like listening to all the little details about planning a wedding. The cake layers,vendor payments, color themes, bridesmaids' dresses, to-do lists, etc. It is all here for you. The narrator's groom voice was particularly grating. The word "spark" cannot be used in describing my experience with this book. Terrible story, equally terrible narrator. The different accents were major fail and trying to be male voice poor execution. Boring. If you really care to read detailed descriptions of meals and clothes, that would be a good thing, because there is no mystery, here. 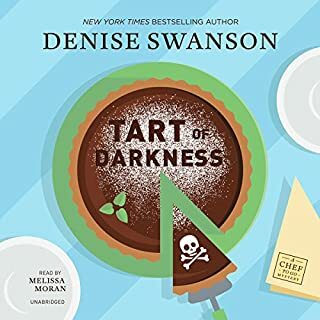 There is a considerable amount of contrived but minor angst between our narrator and her intended and a whole lot of wedding chore anxiety, but if you're not all about that, the plot is so obvious that you won't find anything to engage you, at all. The murder is a sort of sidelight. 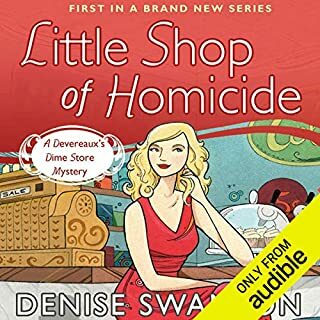 The marshal is a nice guy, but his girlfriend (and our heroine), Skye, is just too concerned about inconsequential crap, and the plot, such as it is, is totally and completely guessable, including how her mom plays into the honeymoon. Dime a dozen, but it'll cost you more to indulge in this fluffy confection. Never really caught my attention! The narrator was fine but the characters never pulled my in. I found myself just wanting to know who did it and not listening to the detailed of the story. 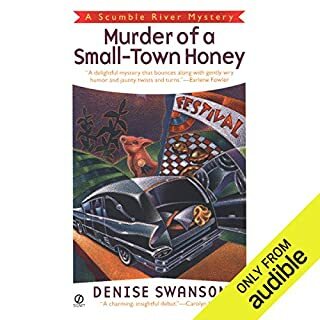 This is my first Scumble River mystery and I’m pretty sure it’ll be my last. It wasn’t horrible per say, just very lackluster. If you ask me to recall anything about this book a month from now, forget about it. The story is so forgettable, probably because the characters were either unlikeable or just plain boring. It seemed as though the murder mystery took a backseat to all the mind-numbing wedding planning. If the author focused more on the Christmas setting and less on the inane wedding details, it would’ve been more tolerable. As for improving the murder mystery plot, that would require an entire overhaul. I figured it out the second the murderer was introduced. From that point on it was just a painful slog through wedding-planning follies and disjointed red herrings. On the bright side, the narrator was fantastic. 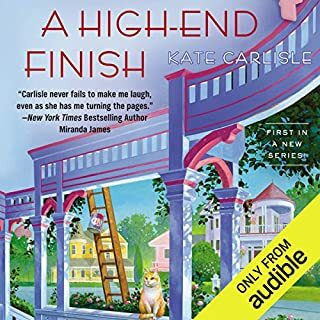 I'll be sure to listen to more books narrated by Christine Leto in the future. Recently I began with book 1 in the series and just finished book 15 as well as the new addition. This is a terrific series, clean, friendly, and I loved the characters. Each character is unique and fun to follow. You can't go wrong reading or listening to the whole series. 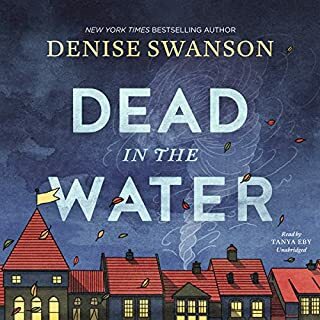 I liked this book, it had the murder but also the wedding between Sky and Wallie. In this book I think May was a lot more laid back then some of the other books but I have a feeling she will make up for it in the next few books to come. 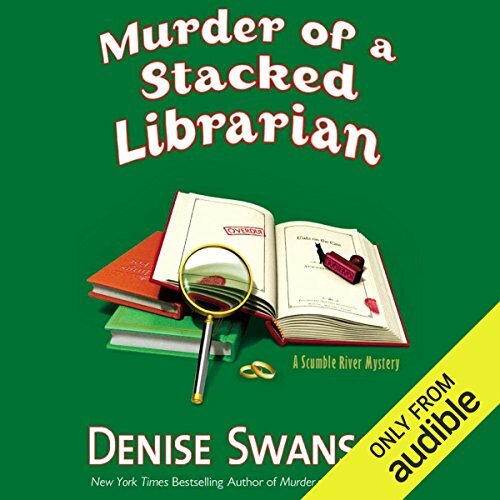 this book series is very interesting each story feeds off of the book before and they are all good to where you want to listen to each book in one sitting. I can't wait to hear the next book.